With the weather so warm on Thursday and knowing it was likely to be our last day of summer, I thought I better get my Jones and Jones dress out, even if it was only for a few pretty photos! I haven't had anywhere to wear this dress to yet, I think it is so cute but now I’m thinking it might have to wait until next summer as it is a very spring/summer colour. Im thinking something like a summer wedding guest outfit is perfect. Jones and Jones are my go to brand for big events like that and I actually have quite a large collection going on now! They don't fit inside my wardrobe so all of them hang on the outside. You guys might remember that I few months ago I was invited down to their Spitalfield's store to spend some time with the team trying on some of the new season dresses, I got to pick my favourite one and take it home, so here it is. I love that all of the Jones and Jones dresses have the extra poofieness (Is that even a word?!) to them with the layers in the skirt. If you know me, you'll know that I love that triangle silhouette of a puffy skirt. This dress is very well made and you can feel the good quality material. If you'd like it for yourself, its currently half price in the sale! 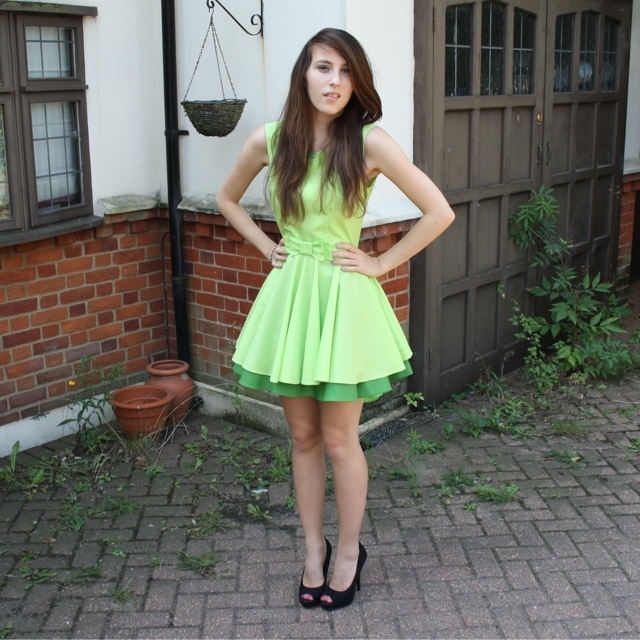 This dress is absolutely the cutest, you look really lovely!